When a film about the politics of drone warfare chooses to open with a sequence with a young girl frolicking within a military compound, you can guarantee manipulation is on the cards. 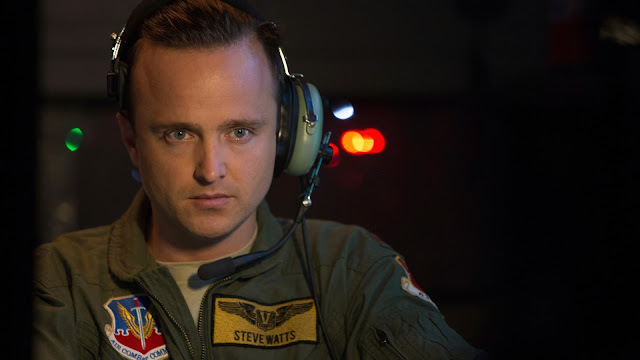 So it is with Ender's Game director Gavin Hood's latest, a movie that manages to use the hot button topic of a drone strike and spin into something compelling, with a sickening predictability that manifests itself in its final act and in its manipulative coda. With a British-led drone strike to capture a suspected terrorist in Nairobi underway, led by Colonel Powell (Mirren in a no nonsense role), events quickly change when intelligence from the location reveals a suspected suicide bomb attack is being planned. As the debate rolls back and forth between multi-national locations, the situation becomes increasingly more tense and equally farcical as no-one wants to be seen to condone the operation becoming a strike. And matters are further exacerbated when a small girl selling bread in front of the location for the strike could become a piece of collateral damage that would have major international implications. 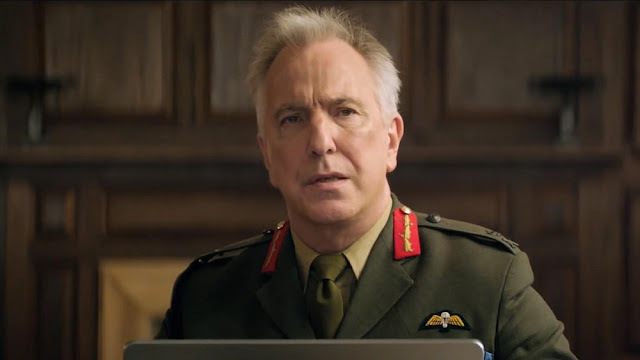 Conflict, debate over law and borderline moments that feel like they're just awaiting a visit fromThe Thick of It spin doctor Malcolm Tucker somehow combine to make Eye in The Sky a frustratingly tense experience. Granted, there's a degree of insouciance as the house of cards is continually stacked and over-dramatically placed as no-one in any war room wants to take the ultimate decision and shoulder any of the responsibility. As the exasperation tangentially mounts, every one of the ensemble cast scattered through the world makes a case of their place on screen. From Mirren's determined Colonel, who's devoted years to ending this cell to Paul's drone pilot who's placed in an unthinkable situation; from Abdi's on-the-ground operative to Rickman's hamstrung by the rules of engagement Lieutenant General, the whole situation shifts tangentially with some gallows humour and a lot of debate. Wisely, Hood's chosen to keep too many morals out of the piece as he weaves a narrative which will probably see you projecting your own ideals onto it as the red tape of bureaucracy winds ever tighter to a taut conclusion that's as thrilling as it is predictable. Unwisely, though, a coda to the proceedings is a major mis-step and brings too much sentiment to the morality tale, over-egging the pudding with a sickliness that's directly opposed to all that's gone before. 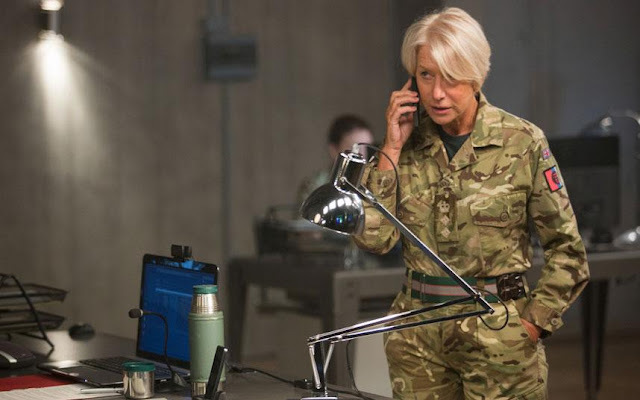 Ultimately, though, Eye in the Sky is a slick drama that puts an overtly human face on the ongoing thorny issue of the apparently anonymous face of drone warfare.